Really take it up a notch, and surprise your children with the ultimate in inflatable slides! 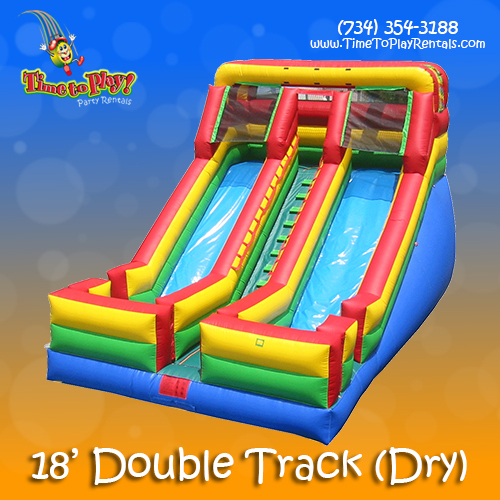 Our 18’ double track vertical slide (24Lx17Wx18H) is ideal for large-scale events, since two children can slide at the same time, each on their own track! Your kids will surely have a ball!